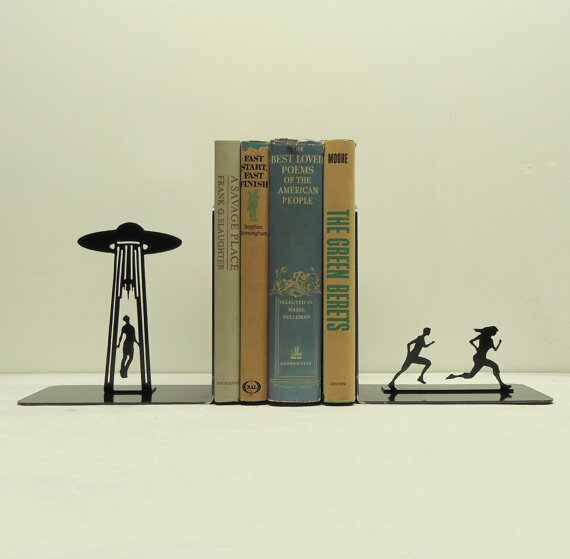 The “Alien abduction” bookends are only one example from Knob Creek Metal Arts. Good bookends are a must for any collection of books. 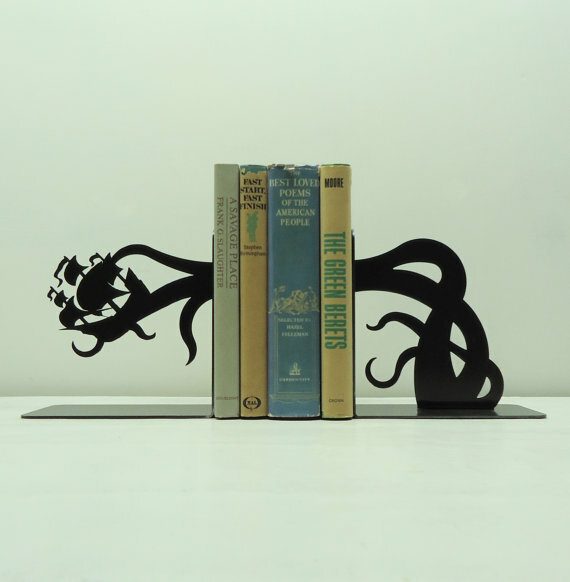 On a whim, I searched for bookends on etsy and came across Knob Creek Metal Arts’ fine collection of geeky bookends. 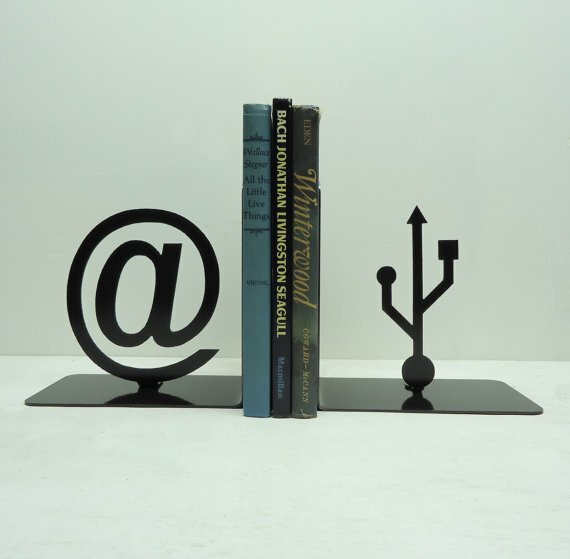 The bookends are made from solid steel (perfect for holding up heavy books), and finished in hammered black. Prices range from around $50-$65, but their Etsy shop is currently having a summer sale that will save you 10% on your order. I can’t decide which set I want, although I do think the rocketship would be perfect for supporting our sci-fi collection.